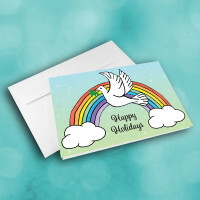 Send a holiday message of peace and light with this card, to bring a smile to those around you. The child-like artwork of this card gives it a charm that is sure to bring joy to any who recieve it. 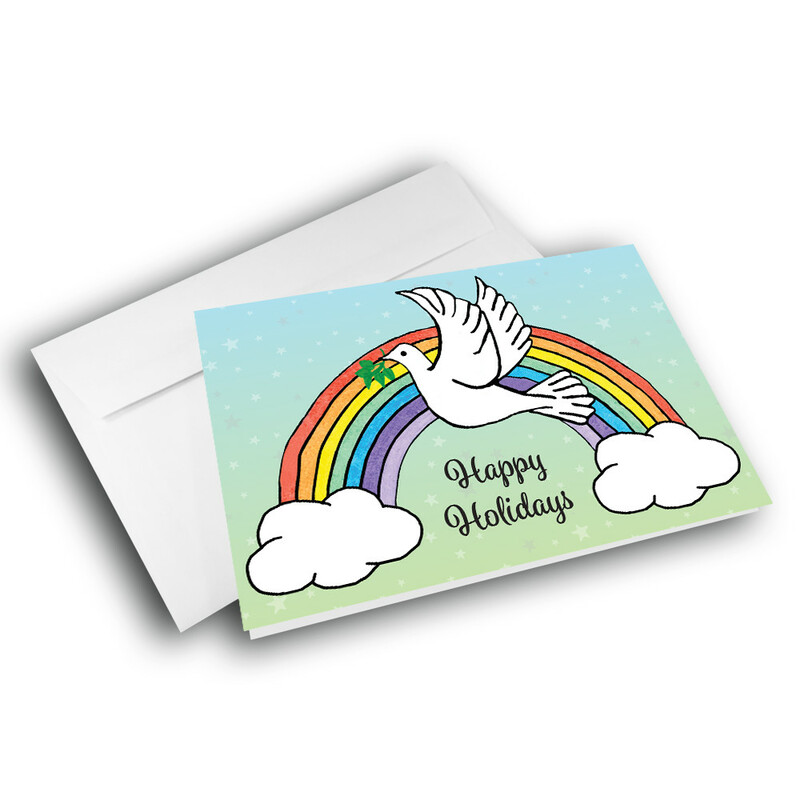 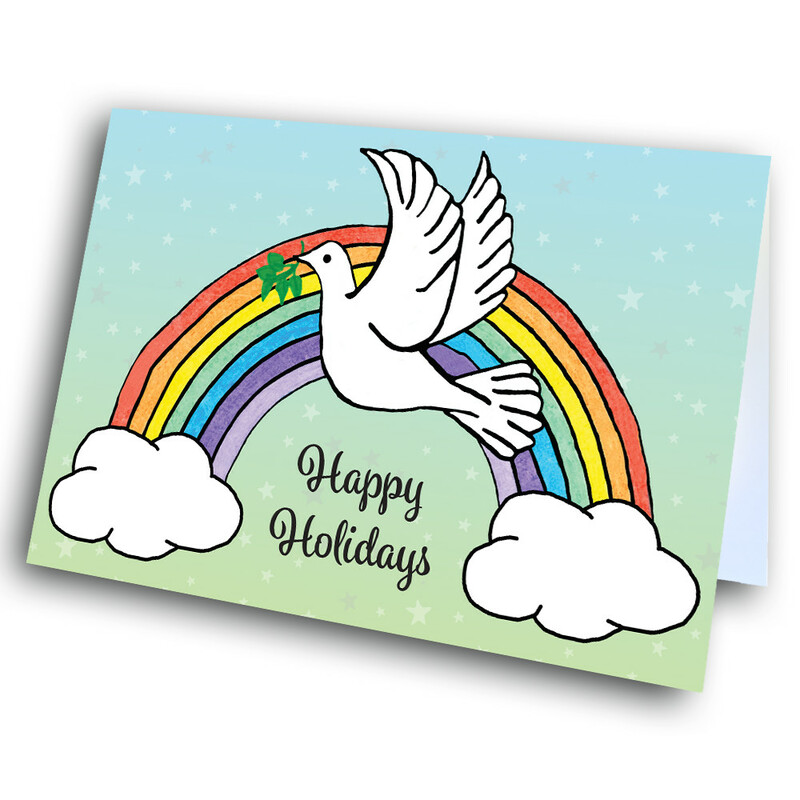 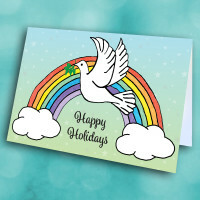 Adorning the front, a white peace dove flys across a colorful rainbow, both set against a blue-green sky with pale stars. 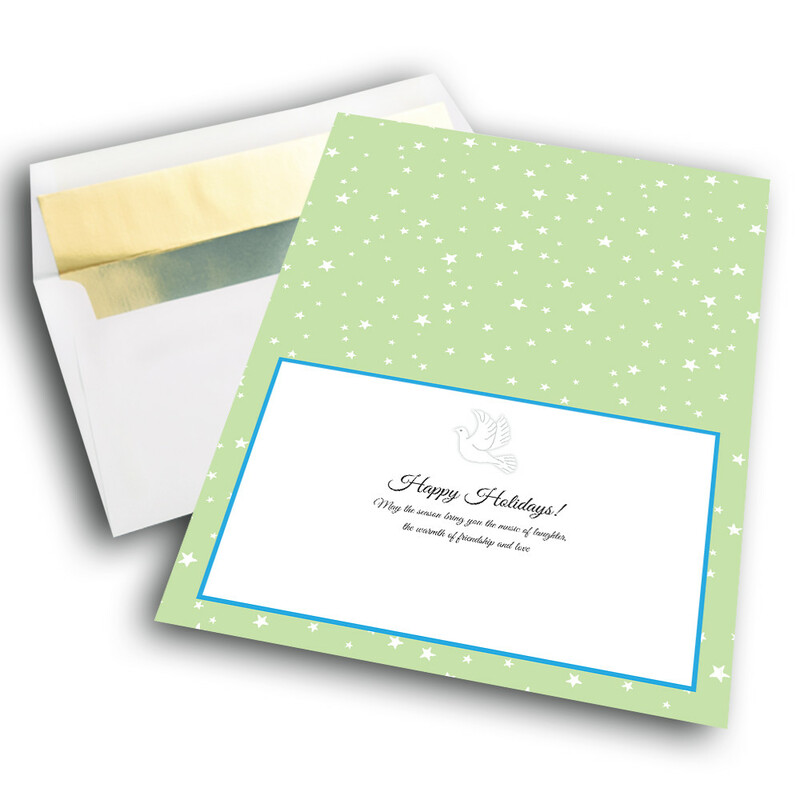 The inside features an olive-green background peppered with more stars, and a warm message. 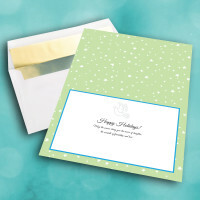 This message could also be personalized to give it your own individual touch.